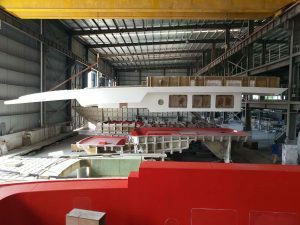 With eleven yachts under construction, the Selene shipyard is an impressive bee-hive filled with busy technicians! 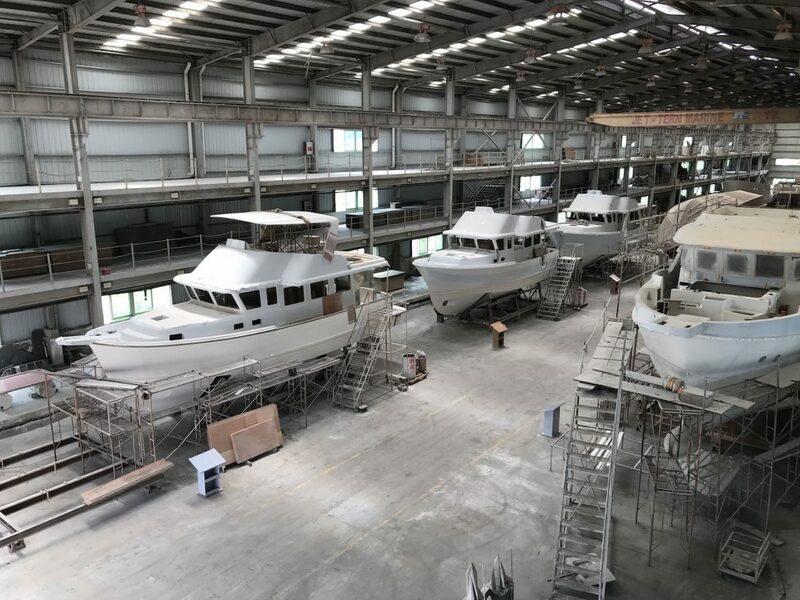 Three Sedan models of the Voyager line are 70% complete in Hall A, and a beautifully appointed 60 Ocean Explorer designed by Howard Chen and Guido de Groot will soon reach 80% completion, along with some very exciting equipment like the jacuzzi and a heated floor throughout to ensure the owner and crew’s comfort in the cold climates where she will find her port of call. 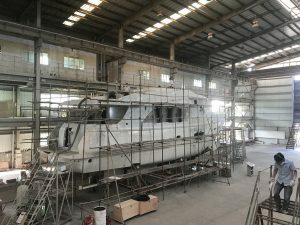 A Selene 60 Classic has just been moved from the lamination hall to the main assembly line, along with a Selene 72 Ocean Explorer model lamination steadily progressing to the assembly line, while a Selene 49 Classic will soon be pool-tested. 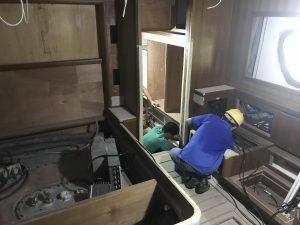 Hull number 42, of the 42 Voyager Sedan series, which is a very special 20th Anniversary Limited Edition vessel, is currently receiving new smart equipment, like raw water electro-vanes remote controlled from the helm, ultrasonic anti-fouling devices, a user-friendly compact entertainment system, a gyrostabilizer, a small steadying sail and a customized and very elegant classic mahogany interior with a touch of this classic Herreshoff style. 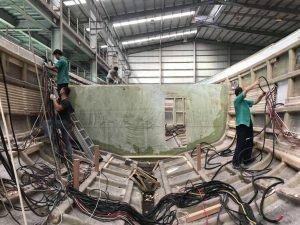 This yacht is designed with the very personal involvement of Howard Chen for a very experienced owner who intends to cruise the Southeast Asian seas, where she will showcase Selene’s know-how in the Gentleman’s Yacht range.